Group psychotherapy consists of one or more therapists treating one or more clients together by using principles derived from psychological paradigms. The makeup of the groups that can occur in psychotherapeutic situations can vary considerably; however, the group needs to have some type of common factor in order to be treated collectively. Groups can consist of individuals with a similar issue they are trying to address, those who come from a similar background, and/or those who are related. Family psychotherapy is a specialized type of group psychotherapy that addresses issues that occur in group members who are related in some way, such as being first-degree relatives, extended family members, romantic partners, etc. When only romantic partners are treated together, the therapy is typically referred to as couples therapy (or marital therapy), whereas when more than one other family member is treated (any relationship), the therapy is typically referred to as family therapy. Sometimes, sources refer to family therapy as systems therapy when the family members all live together, and the therapy addresses the family system. Family therapy can be of a cognitive-behavioral origin, a psychodynamic origin, a humanistic origin, etc., depending on the therapist. Thus, the specific approach to family therapy can vary depending on the approach of the therapist. This article will discuss family therapy in a general manner. Different therapists will attempt to reach the goals of the therapy in different manners and with different approaches, but the goals of therapy are typically similar despite the paradigm used. 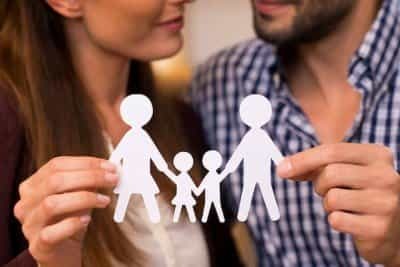 The major goal in family therapy is to understand how the relationships and the structure of the family are being affected by the particular issue that brought the family to therapy and how the family maintains that particular issue. For example, when family therapy is used to treat individuals who have substance abuse issues, therapists will attempt to understand how substance abuse affects both the individual who has the issue and the rest of the family members, and how the family and the specific individual respond and maintain this issue. No two families are the same, but there are some general principles that therapists typically follow. The ultimate goal is to strengthen the relationships in the family, realign the power or spheres of influence to make family members all relatively equal in their influence on the family, and develop and strengthen communication in the family. As a general rule, therapists will operate on several core assumptions that they will use to guide their intervention. Therapists understand that every member in the family is a separate individual who has a separate existence from the family. The specific experiences, beliefs, and attitudes of the individual can contribute or interfere with the functioning of the family as a system. Family therapists assume that the family unit is also a separate entity that is comprised of different individuals in the family. The family unit can contribute to both positive and negative aspects of the individual’s experience and to the family system. Certain factors can contribute to the family system in a negative manner and can develop dysfunctional relationships or problems with equilibrium in the family system. Negative factors can affect the family system in multiple ways. There can be trust issues between individuals in the family. Members may keep secrets from other family members. Alliances between certain family members against other members may form. Some members of the family may try to protect or isolate themselves from other members. Some members of the family may try to control the situation. Tension and dissatisfaction can build within the family system. Events that occur to any person in the family obviously affect that person, but they can also affect the family system and may affect different family members in different manners. Individuals have certain strengths that can be built upon to help them deal with whatever issues brought them into therapy. The family unit also has certain strengths that can be built on to deal with whatever issues brought the family into therapy. These issues can result in significant distress and dysfunction within the unit and in individual family members. A family therapist would attempt to identify the situation, look at the factors that are creating tension, address these factors, have the family work together to directly address these issues, and develop a set of strong communication skills between members in order to address these and future problems that may occur. Initially, family therapy was applied to the treatment of issues that were theoretically believed to directly result from family conflicts, such as eating disorders, certain behavioral issues in children and adolescents, marital problems, etc. As family therapy became more refined and began to address broader issues, research studies revealed that it was also an appropriate intervention for various other issues, including substance abuse in one or more members. Depending on the specific issue, family therapy is considered a viable option for aiding the treatment of numerous mental health disorders, including the treatment of substance use disorders. As stated above, depending on the orientation of the therapist, there will be different techniques used during treatment. There is no single specific approach to performing family therapy, and research indicates that all of the approaches are effective when used in a proper manner. There are several general principles that are common in a family therapy environment. These can be presented as a sort of blueprint or guideline as to how family therapy might work in the treatment of a substance use disorder. The initial sessions of any type of psychotherapy are typically used by the therapist to attempt to understand the situation, define the guidelines and rules of the therapy, and define and discuss the roles of the therapist and the clients in the intervention. Clients explain the issues that brought them into the therapeutic situation, and the therapist explains their overall approach. Therapists also define the specific rules of the therapy, including meeting times, rules for participating in the treatment, what family members should expect and their responsibilities, the limits of confidentiality, etc. Some therapists may have the family members sign a contract that indicates that the family members understand what is expected of them, understand the rules, agree to participate in the treatment, and so forth. These types of therapeutic contracts help both the therapist and the family members to understand and agree upon what specific issues will be addressed and what members should do to address them. They can also help to develop a sense of commitment between family members in addressing the issue in question. Depending on the therapist, the family may only be interviewed as a unit, or the therapist may interview the family together and then interview each member separately. Therapists may determine that individuals who have come to the therapy sessions may not need to be part of the treatment, or they may decide that certain family members who are not present should attend the sessions. In addition, during the early sessions of treatment, some therapists may uncover information that suggests that certain members of the family need individual treatment for specific issues or that they need medical treatment. The therapist will make these recommendations and attempt to get these individuals into the type of intervention they require. If individuals refuse to seek specialized individual treatment for issues that need this type of attention, the therapist considers it to be a violation of the contract (if one was signed) or a sign of resistance that needs to be addressed. The assessment process that occurs in group therapy is often lengthier than the assessment process that occurs in individual therapy for obvious reasons; it is obviously much more complicated to understand issues when there is more than one client in therapy. Typically, family therapists continue the assessment process throughout the entire course of therapy; however, the first two or three sessions are almost exclusively devoted to assessing issues and offering major suggestions. As the treatment enters the middle stages, the actual interventions will be implemented. The specific interventions used depend on the therapist’s approach to therapy and the treatment’s goals. The middle sessions can be quite variable but certain aspects are common. Family members begin to explain how the issues that brought him into therapy affect them and how they feel. Patterns of communication and the specific power structures that occur in the family unit are identified, and the therapist explains how these work in the specific case. The therapist attempts to correct problems that occur with communication within the unit, helps to empower individuals who need assistance, and points out warning signs and behaviors that fostered the issues that are being addressed. The therapist begins to work on specific skills that need to be addressed, such as dealing with anger and resentment, being honest, etc. The therapist helps members of the family to understand how their issues affect the rest of the family, how some members actually foster the issue (e.g., substance abuse) in other family members, and how the family can work together to address these problems. The therapist will help family members understand other members’ points of view. The therapist will help the family to address and strengthen the processes that make the family stronger. This can include expressing feelings in an honest and supportive manner, strengthening parenting skills, helping the family resolve conflicts in a more positive manner, etc. By allowing every member of the family to participate in the process, the family begins to understand that every member of the family is important. In certain cases, the family therapist may also need to interject a psycho-educational component into the treatment. For instance, with substance abuse, individuals often have numerous mistaken beliefs regarding drug abuse and/or a misunderstanding of issues with substance use disorders. Family therapists who treat substance use disorders often need to educate the family regarding how these disorders develop, what needs to be done to address them, and the general principles of relapse prevention and long-term recovery. This may include suggesting that family members get involved in 12-Step groups, medically assisted treatment like withdrawal management (medical detox), inpatient treatment, etc. Family therapists often assign “homework” that consists of the family working together outside of the therapeutic situation. The therapist expects that the family will complete this homework. Excuses or any type of noncompliance is considered to be resistance to treatment, and the therapist will explore this with the members involved. The middle sessions in family therapy are devoted to getting most of the work completed. Family therapists should have a specific set of goals for the therapy that have been reviewed with, and agreed upon by, the family. The goals are based on both the family’s description of the issues that brought them into treatment as well as the therapist’s conceptualization of what needs to be accomplished. Once the therapy is terminated, the family should be able to address these issues on their own. Good therapists recognize that other issues may develop, and the family may need to return to the treatment. They will always advise the family that they need to return for booster sessions or additional interventions and not to consider this a sign of failure. There are several advantages to family therapy. Social support is a vital component in the treatment of any issue, including medical issues and mental health issues. Support from one’s family is a vital source of social support, and family therapy helps to strengthen this. Family therapy can address issues in a broader context. Family therapy offers a constructive way to address issues with resentment, dishonesty, isolation, communication, and other issues that often occur in individuals who have substance use disorders. Because individuals who have substance use disorders often profoundly affect those closest to them, family therapy offers an outlet and a source of intervention for everyone involved. Family therapy helps individuals develop a broader perspective of the issues that brought them into treatment. The therapy is not solely focused on their subjective interpretation of the issue, but includes the viewpoint of others who are close to the situation. There are some limitations or potential disadvantages to family therapy for issues with substance abuse. Family therapy addresses numerous complicated issues that may require extensive treatment. Individuals getting involved in family therapy should expect the therapy to continue until these issues have been resolved. This may take time. Families that do not apply the principles learned in the treatment will not experience the benefits of family therapy. Family therapy requires honesty. Some individuals may become very uncomfortable when they learn about how family members view the situation or them. Other individuals may be uncomfortable revealing their feelings in an honest fashion. Family therapy can facilitate recovery from a substance abuse issue, but individuals also need to be involved in individual substance use disorder therapy and other forms of intervention. Family therapy alone is usually not sufficient. These individuals require both family therapy and individual attention in order to address their issues. However, family therapy can boost the effectiveness of individual treatment and help to heal issues within the family that occurred due to substance abuse.